Allchips（硬之城） RASPBERRYPI3-MODB-1GB is available at Allchips.100% original and new guarantee. 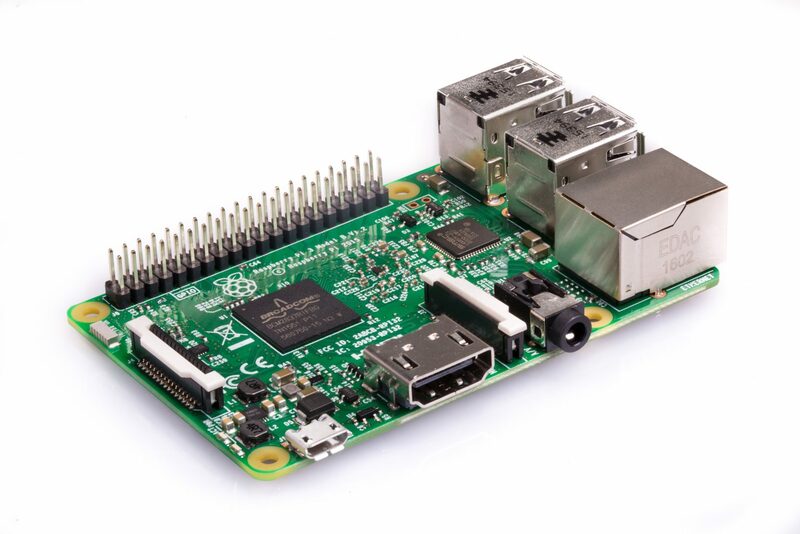 If comprehensive data for RASPBERRYPI3-MODB-1GB to optimize the supply chain, including costdown, time-saving, cross references, parametric, counterfeit risk, alternative components, obsolescence management forecasts is expected, please contact our professional team. Built on the latest Broadcom BCM2837 ARMv8 64-bit processor, the Raspberry Pi 3 Model B is faster and more powerful than its predecessors. On-board Wi-Fi and Bluetooth to enhance the functionality and the ability to power more powerful devices over the USB ports. It is completely compatible with Raspberry Pi 1 and 2. And it can be used as desktop computer, media center, server, monitor, safety equipment. It will be the best choice. The Raspberry Pi 3 Model B Motherboard on board wireless wifi and bluetooth will enhance the functionality of the device and will enable it to power large power consuming devices. The Raspberry Pi is compatible with the Raspberry Pi 1 and 2, it can also be used as a desktop computer, media center, server and monitor. Gives users faster speed than ordinary development board. Low energy consumption and more convenient for operation. Enough to make sure smooth work while connecting with other devices. Convenient for loading your operating system and storing data, very convenient. Allows you to connect more USB devices for better using experience. You will never be troubled by the low LAN speed. For smooth and stable multimedia operation. Allows you to enjoy fabulous video-watching experience. For connecting a Raspberry Pi camera and a Raspberry Pi touch-screen display.